Designer and CEO Ras Tree is a loving father and passionate businessman. He has been making jewelry since 1999. He began working with hemp and beads, gifting his one-of-a-kind creations to family and friends. He became inspired to create a profitable business from his works and was encouraged by the smiles that were produced as a result of wearing his signature designs. He has since evolved into wire wrapping with metals, crystals and stones and has been doing so for eight years now and moving steadily forward. Ras Tree is nationally known for wowing his customers with his infectious personality, wise counsel of the healing properties of stones, and his unique eye for creative design. Contact us for wholesale, trunk show and special event inquires. 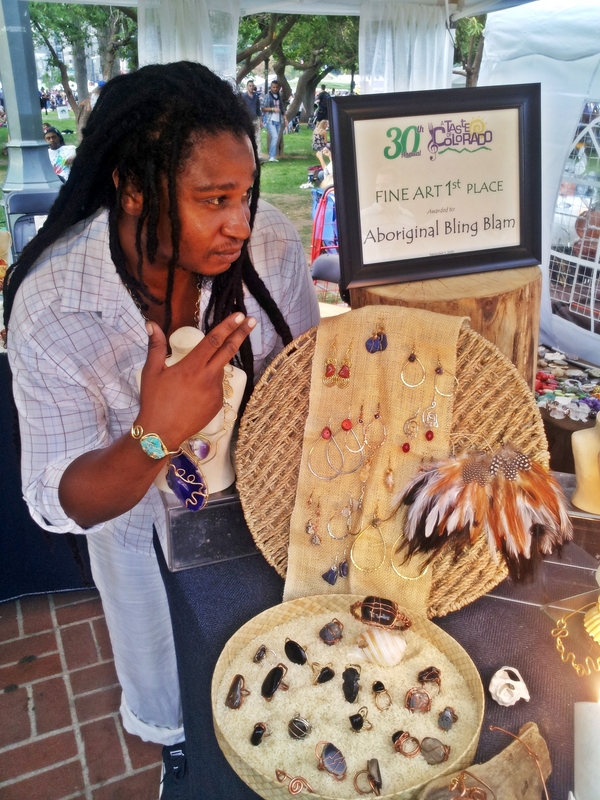 Ras Tree travels across the US and Caribbean selling his Aboriginal Bling Blam creations in as many as 20 cities per year working festivals, trunk shows, wholesales and events. Aboriginal Bling Blam has become known for presenting exquisite showcase designs that incorporate natural, bold and beautiful elements of the Earth. 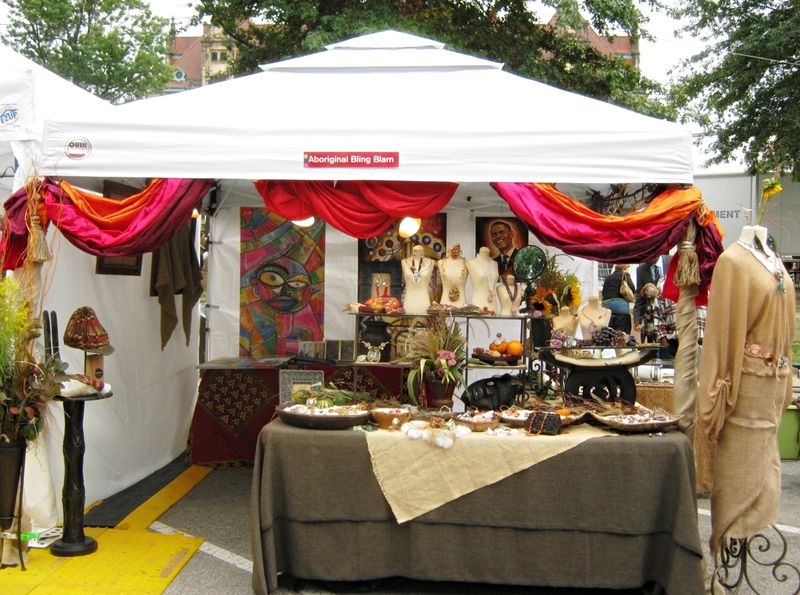 In 2013 ABB was awarded 1st place for best booth design Fine Arts at the annual Taste of Colorado festival. That same year ABB took 3rd place for best booth design at the Taste of St. Louis.